Persson-Horton, Sitges 2015 round seven. Position after 58. Rb7-b8. During the tournament at Sitges I came across, can't remember why, some pages on Google Books from Klaus Trautmann's El Último Error, the Spanish translation of his book Der Letzte Fehler, The Final Error, originally published in German in 2004. As far as I can see it's never been translated into English, which is probably a shame. Tim Krabbé mentions it here. 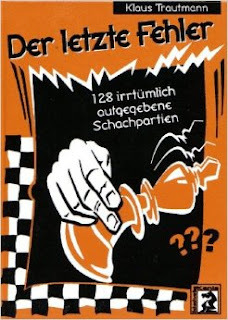 The subtitle of the book is 128 irrtümlich aufgegebene Schachpartien, which is more German than I can read unaided, but in Spanish is 128 Partidas Abandonadas Erróneamente, which I can render without difficulty as "128 games wrongly resigned", which makes it both a suitable introduction to this piece and ironic that I was carrying around the excerpt from Google Books during that particular tournament. Round seven, after three rounds of losing to higher-graded players and three of beating the lower-graded. We're nearly four hours in, I've been clinging on with the Black pieces for most of the game and playing off the increment for twenty moves or so. I should have been dead and buried on move 37 and again for that matter on move 38, but having escaped those particular bullets I then inadvertently put myself back in the firing line straightaway. Shortly afterwards I was the exchange down and reduced to hoping for a perpetual check that wasn't going to be there. 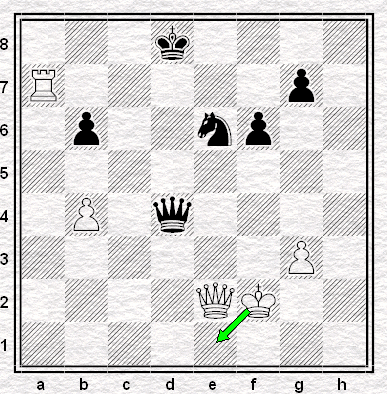 and I was able to score myself another pawn with 52...Qxb4+ after which the queens came off with 53. Qd2 Qxd2+ 54. Kd2 and my first thought was that I was home free. I probably should have been, too, since while 54...Nc7 55. Ke3 Kd7 56. Ke4 g6 57.Rb7 Kc6 may very well not be the best either side can do, there shouldn't be any great danger for Black after 58. Rb8, bringing us to the position at the top of the piece (and indeed below). But with less than a minute to think about it, I didn't see it that way. As we'll see, exactly what was going on in my mind is less than clear, but I came to the conclusion that I was about to lose the pawns on the kingside. In fact I wasn't: after, say 58...Ne6 59. Rg8 Nc5+ 60. Kd4 g5 61. Rg6 Nd7 is holding perfectly easily, while 61. Rf8 wins all right, but not for the side I may have thought. But instead, I panicked. I decided to abandon the b-pawn for the sake of the kingside and played 58...Kd6. And on playing it, I panicked again. Now maybe this was one of these occasions where you get so used to threats from one direction, one angle, that you're startled to have them come from another. Immediately on moving the king I realised that when the rook took the b-pawn, the check was going to be a skewer, and I was apparently going to drop the very pawns I was trying to defend. 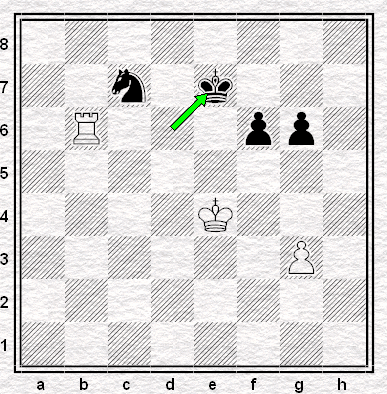 And suddenly I picked the king from d6, kind of waved it about a bit, and put it down at the side of the board. 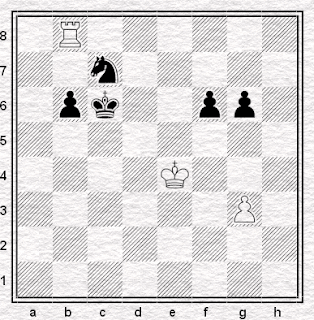 Annotating the only game Korchnoi lost, against Josip Rukavina, they comment thus on the final position of the encounter. 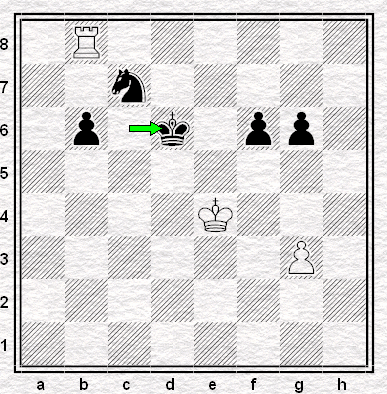 Now Korchnoi picked up his queen and played it to d5 with check (it's the only move to keep a spark of life) and let go of it; then he did not like it there and picked it up again, put it back to d8 and then swiftly moved it to b6 where it would allow three mates on the move! Rukavina very quickly restarted Korchnoi's clock and started to remonstrate; the watching deputy chief arbiter, Walter Kuhnle-Woods, stepped forward intending to award the game to Rukavina. 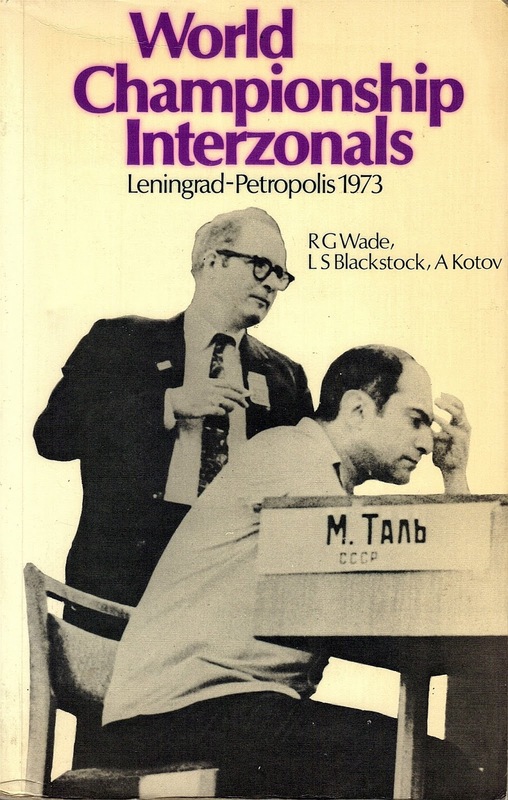 Korchnoi saved any further fuss by promptly resigning. No one attributed anything to the incident other than that Korchnoi was completely confused. He spent the next few hours walking the streets of Leningrad working off his annoyance with himself. Maybe. Maybe that curious incident from way way back had nudged my mind in its direction at the crucial time. More likely it was nothing to do with it. But the memory was preserved nevertheless, and that's what I thought about just as soon as I'd realised what I'd done. What had I done? I'm not losing the kingside pawns. Simply 58...Ke7 and the king reaches the pawns quite safely. And then what's White's winning plan? I don't believe he has one. I'm not losing at all. Why didn't I see that? I'd speculate either that I just saw the skewer and nothing else - or possibly that I thought the king, which had been defending the knight just a moment before, had to stay by its side. Most likely I just had a red-mist moment and saw nothing. That happens a lot. Korchnoi, at least, was lost when it happened. I wasn't, and while I didn't spend hours walking the streets of Sitges working off my own annoyance, I did a certain amount of walking around in my head. There was not all that much to be found. Maybe I should get out of the habit of resigning before the opponent makes a reply - and I had also done in the first round - though getting out of a habit you've had for several decades may be pretty difficult when you play barely a dozen games a year. Still, whatever happened at the end, for four hours it was a hell of a good game. 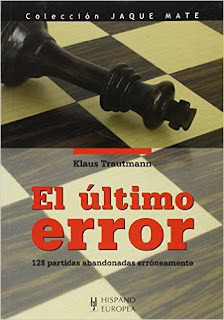 And if Mr Trautmann's book ever comes out in English, he can up the the number of games to 129. The ultimate error surely is resigning in a winning position. ('ultimate' may not be what 'ultimo' means, I do realise.) A la Marco (?). 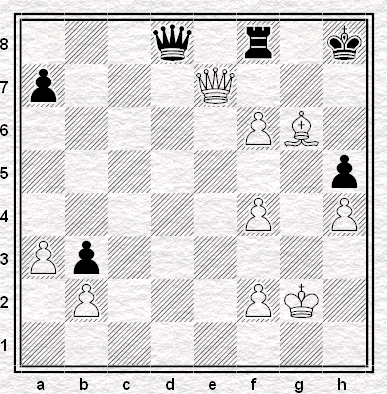 Krabbe has a few examples of that, I believe, including some where every legal move the player has leave him with a winning position.